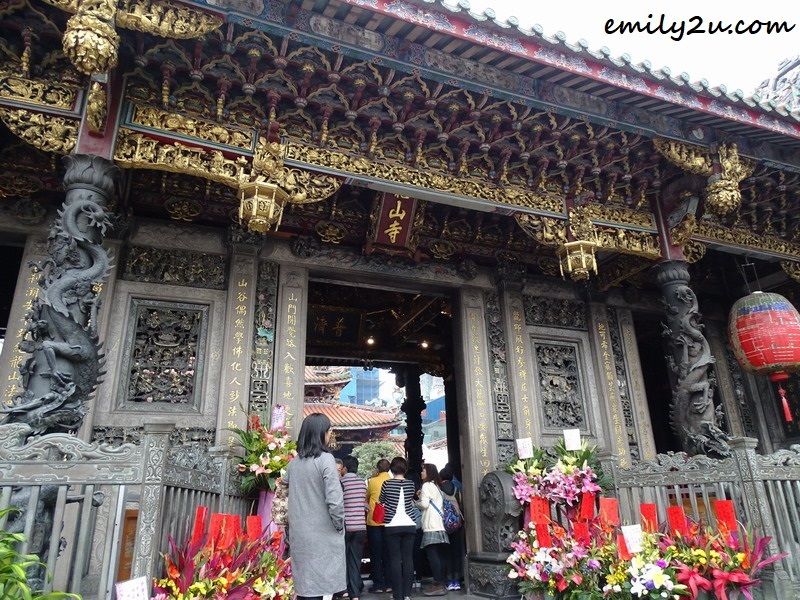 A sister temple of the Longshan Temple at Lukang, this house of worship in Wanhua (formerly known as Manka), Taipei City’s oldest district, the temple was founded by immigrants from Fujian, China during Qing Dynasty in 1738 and opened to the public in 1740, following two years of construction. 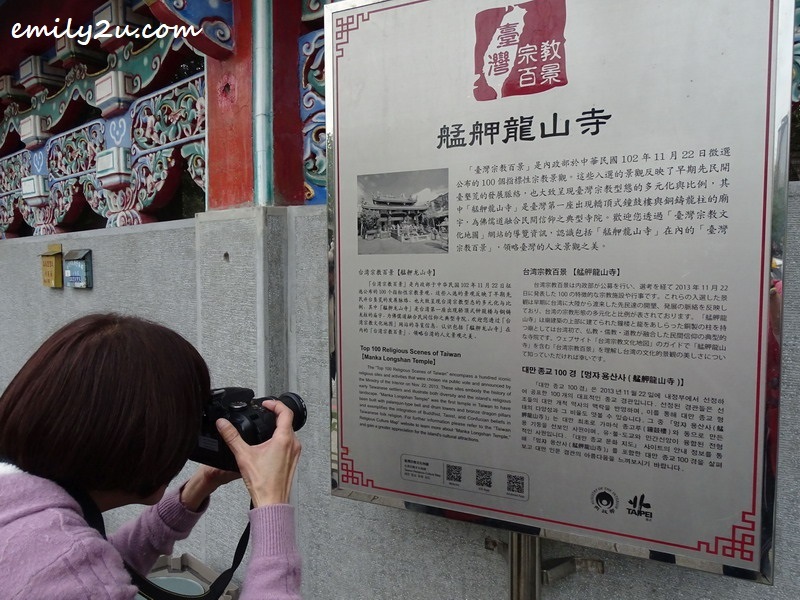 Designated as a municipal historical site in Taipei City today, the temple has undergone various cycles of reconstruction due to damage, especially during World War II when it was bombed severely by American troops during the Raid on Taipei, upon the Americans receiving information that the Japanese were hiding armaments inside the temple. 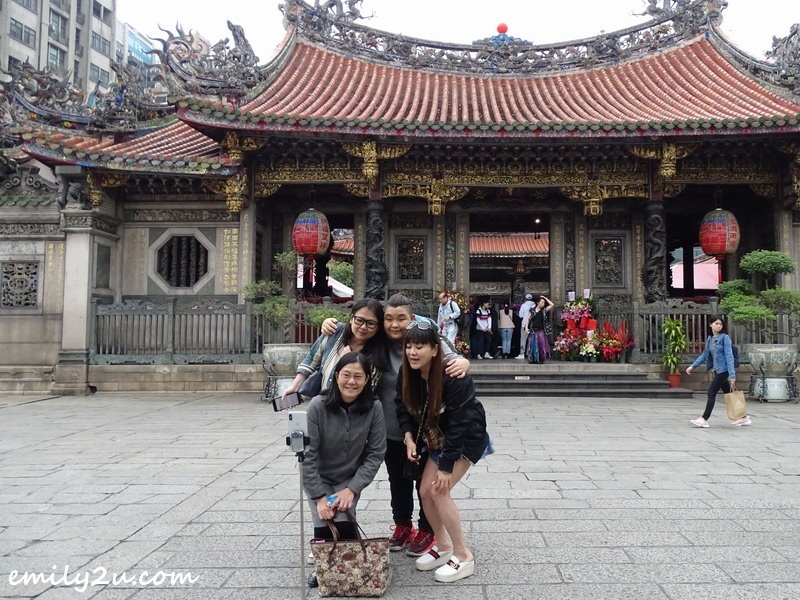 Just a short walk from Bopiliao Historic Block, Manka Longshan Temple is one of the oldest and largest temples in Taiwan and is the first temple in the country to incorporate bronze dragon pillars and also sedan-chair style roofs on its bell and drum towers. 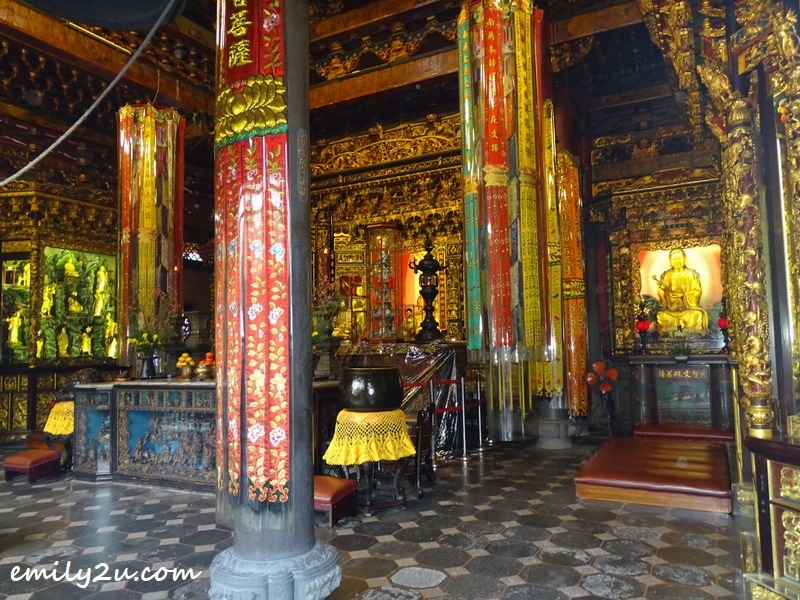 This temple is a living art gallery of Jiao-Zhi and Chien-Nien temple roof folk art as preserved at Bantaoyao Craft Studio. 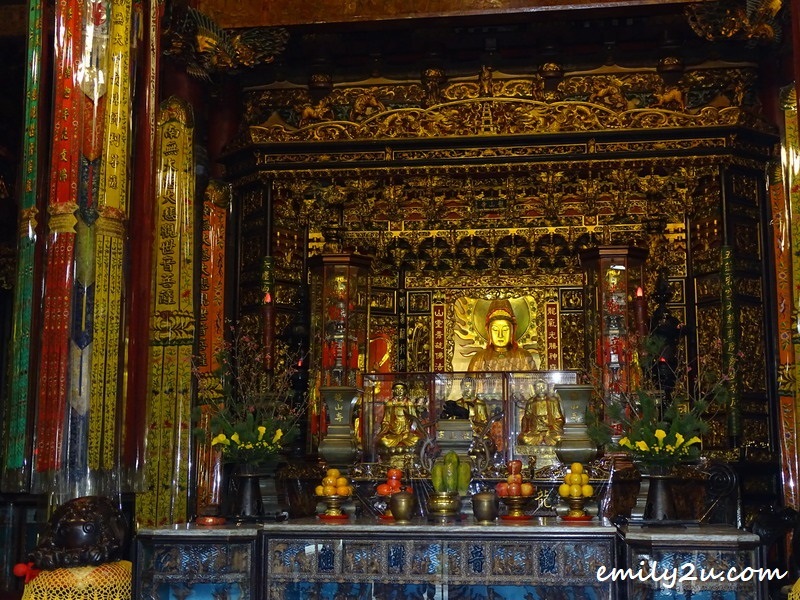 Although this is a Buddhist temple, Taoism is also practised here. 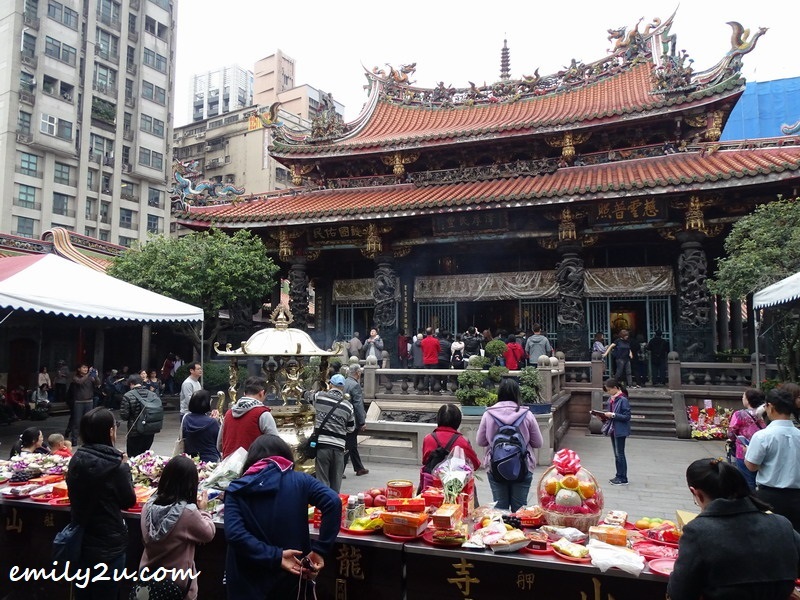 The primary deity is the Goddess of Mercy and deity Mazu is similarly worshipped. 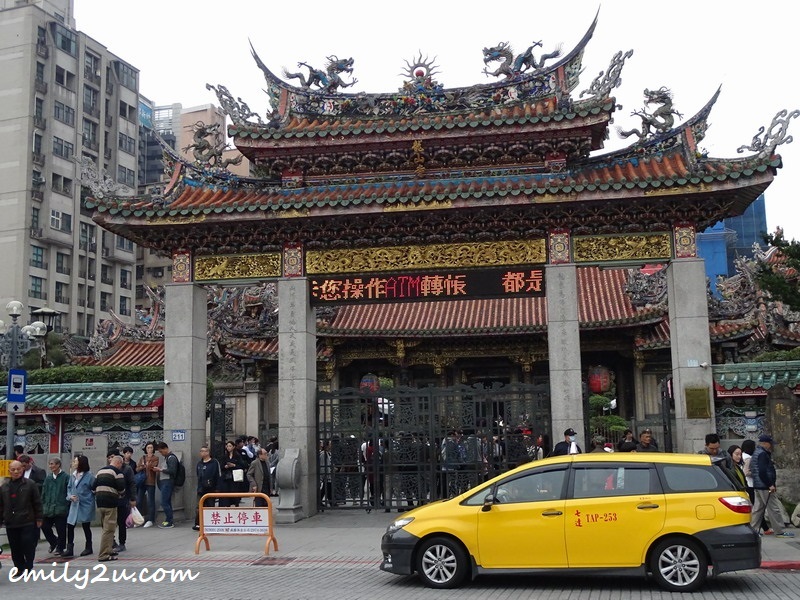 Whatever your faith, Manka Longshan Temple is worth your visit as it has been declared the Secondary National Heritage Site, alongside Taipei 101 (台北101), Chiang Kai-Shek Memorial Hall (中正紀念堂) and National Palace Museum (國立故宮博物院).